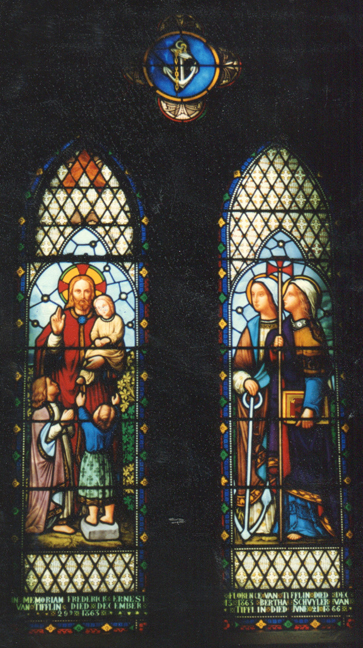 Brief Description of Subject: Jesus standing holding child; Two children standing in front. Martha and Mary standing holding anchor, staff and Book. Rosette above depicts anchor. Includes the inscription, “In Memoriam Frederick Ernest VanTifflin Died December 13 1863. Bertha Schuyler VanTifflin Died June 21 1866”.